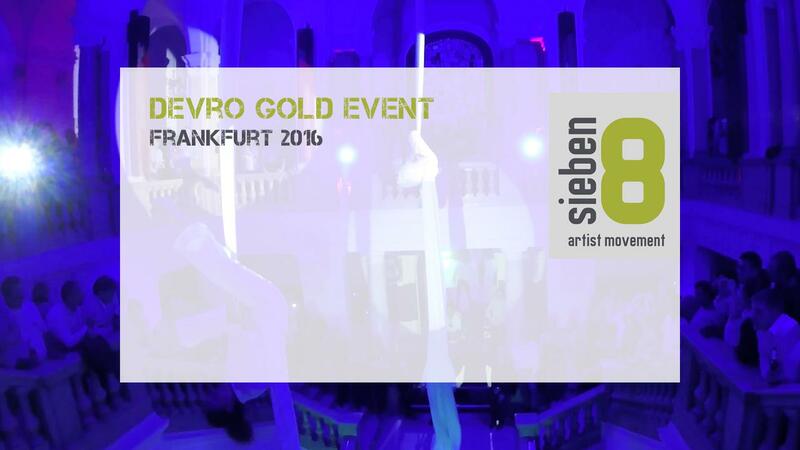 On the occasion of IFFA 2016, Devro invited 550 international guests to the Kameha Suite in Frankfurt. sieben8 leveraged this extraordinary location with its railings and stairs as well as a ceiling height of incredible 18 metres for staging an impressive storytelling performance. Combining premium show acts such as dual aerial acrobatics (cloth / rope), floor acrobatics, and show-jumping course / free-running, guests were able to enjoy an action-filled performance at breathtaking speed – the perfect opening to a long Kameha party night!